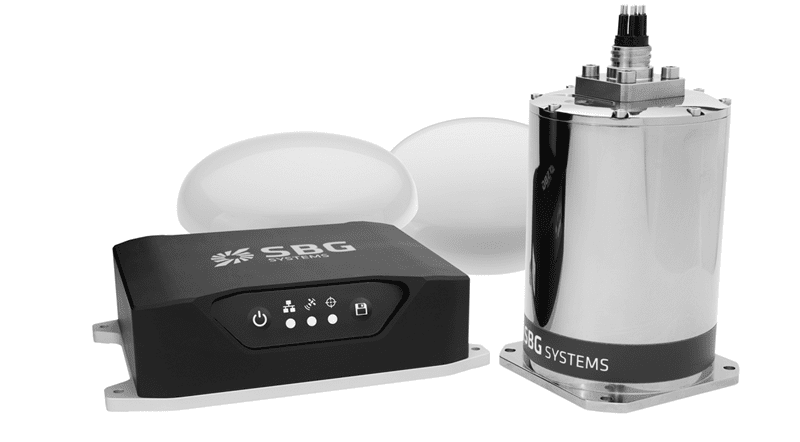 SBG Systems has announced the release of its new Navsight Marine Solution, a full high performance inertial navigation solution designed to make surveyors’ tasks easier in both shallow and deep water. The announcement was made at the Oceanology International trade show in London (UK). Navsight Marine Solution consists of an Inertial Measurement Unit available at two different performance levels (for shallow and deep water), and connected to Navsight, a rugged processing unit embedding fusion intelligence, a GNSS receiver and all connections to external equipment such as echo-sounders and sonar. The system is suitable for unmanned subsea surveying vehicles such as AUVs (autonomous underwater vehicles). The Navsight Marine Solution is based on 10 years of SBG Systems’ experience in marine inertial sensing products such as the Ekinox and Apogee INS. The IMU, packaged in either a surface or a subsea enclosure, is lightweight and easy to install. Navsight connects to any computer, with no software installation. Once connected through Ethernet, the web interface guides the user to configure the solution. A 3D view of the boat shows the entered parameters so that the user can check the installation in real time. Navsight allows quick installation and initialization thanks to SBG’s new mechanical calibration module. The embedded filtering controls and validates lever arms and antenna alignment during this procedure. The Navsight Marine Solution provides high performance motion and navigation data as well as real-time heave accurate to 5 cm, which automatically adjusts to the wave frequency. To allow surveying when wave frequencies are large or complex, Navsight comes with a delayed heave feature resulting in a heave accurate to up to 2 cm computed in real-time with a little delay. If higher performance is required, the surveyor can use SBG’s Qinertia INS/GNSS post-processing software. By processing inertial and GNSS raw data forward and backward, Qinertia greatly increases accuracy, especially during GNSS outages, and also fixes setup errors. The Navsight Marine Solution supports RTK and every Precise Point Positioning service (Marinestar, TerraStar, etc.). It is compatible with major hydrographic software such as Hypack, QINSy, or Teledyne PDS for seamless integration into existing workflows.